The business loans that keep you working. If business is grinding to a halt due to lack of cash flow, these are the business loans that can keep the wheels turning. Fidelity Finance Group can structure a business finance solution secured against real estate, for 80% of the real estate value, not just 64% as is common place with bank business loans. Normally we’d recommend business equipment finance for equipment purchases and a traditional vehicle loan for cars, secured against the asset itself. However, when funds are needed for cash flow, stock holdings and other constantly fluctuating needs, Working Capital Loans can be arranged at home loan rates. We spread our net wider. Fidelity Finance Group sources funds from over 20 lenders, ensuring your business loans are not all placed with the one lender. Having over $350 million in loans written annually gives us massive clout to secure the right terms and rates. We can even use 2 different business loans in one to provide the optimum solution. 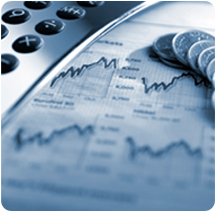 We have business finance specialists who not only understand your type of industry. They also take the time to learn about your unique situation, looking at your current and future requirements in order to recommend the right business finance. If you are not satisfied with our solution, simply walk away with no cost. No application fees, no obligation to proceed. We can arrange 'pre-approved' business finance for future requirements such as equipment, vehicles etc. One-on-one personal service, without being palmed off from one consultant to another. Complete a Working Capital Loan application now, with no obligation, click here. Or phone +61 (2) 9212 0799 to talk with one of our business loans experts.